The MicroBlade Revolution: Lowest Cost Per U In the Industry ( WW ) ! The 6U MicroBlade enclosure can house up to 28 micro server blades,each with four independent Intel® Atom™ C2000 nodes - for a total of 112 nodes. Each enclosure comes with four or eight 80 Plus Platinum certified digital power supplies. Optimized cooling is provided by eight high efficiency cooling fans. One chassis management module (CMM) can be added to the enclosure, as well as up to four 40/10GbE switch modules. MicroBlade systems can be installed in a 19” rack. Up to seven 6U blade enclosures may be installed into a industry standard 42U rack. the environment. 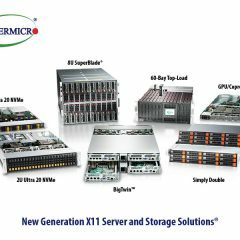 With the ability to use a processor with a power budget as low as 6 watts, MicroBlade provides exceptional value when compared with individual 1U servers. 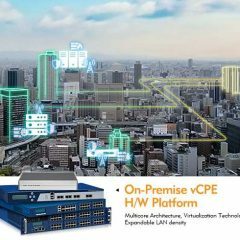 A fully populated MicroBlade system can operate 38% more efficiently than 112 similarly configured 1U Atom-based micro servers with three management switches and three production network switches in three 42U racks, or 53% more efficiently than a similarly configured traditional datacenter optimized server. Linpack benchmarks demonstrate that 112 1U Avoton servers in a rack with three Ethernet switches require approximately 2,566 watts more energy than a similarly configured MicroBlade. 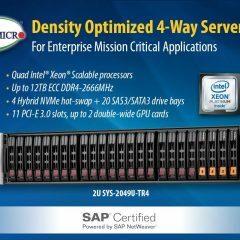 1U Intel Xeon E3-1200 v3 product family servers required at least 4,806 watts more energy. MicroBlade also offers the industry’s best power redundancy and fault-tolerance. 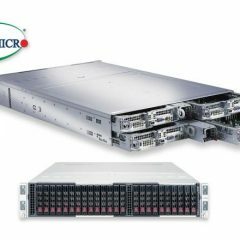 Whereas other micro server enclosures provide only a maximum of N+1 redundant power supplies per chassis, each Supermicro MicroBlade comes with native N+1 redundancy that can scale up to N+N, even with a fully loaded enclosure at maximum output. 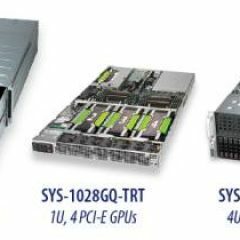 traditional datacenter server, reducing physical footprint by as much as 95% versus 1U rack servers. Instead of 1 or 2 nodes per 1U of rack space, MicroBlade can achieve a density that is above 18 nodes per 1U of rack space. This node density reduces MicroBlade’s need for cabling by up to 99% versus 1U rack architectures. MicroBlade enclosures would require up to a total of 63 cables: 28 for every switch port in all of the chassis (7 x 4 = 28), 7 for remote management to the CMM (7 x 1 = 7), and 28 for the necessary power supplies (7 x 4 = 28). 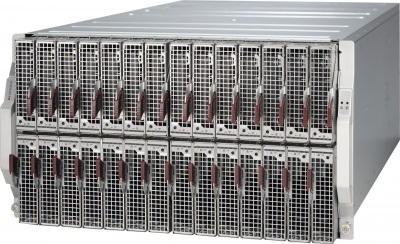 A comparable number of individual 1U rack servers would require twenty 42U racks. Each rack would require 60 cables to provide a connection to a core switch (20 x 3 x 1 = 60), 2,340 cables to connect each 1U server node to the 2 regular network switches and 1 management network switch (20 x 39 x 3 = 2,340), 1,560 cables to provide redundant power to each server across 20 racks (20 x 39 x 2 = 1,560), and 320 power cables to provide redundant energy to each switch (20 x 3 x 2 = 120). Thus, a 784-node 1U configuration would require a total of 4,080 cables. 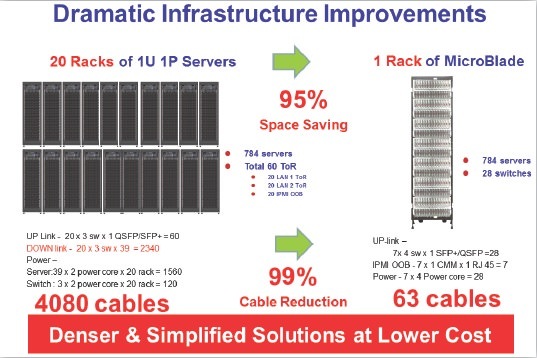 Compared with 1U servers, MicroBlade enables cable reduction of up to 99% (1 – 63/4,080 = 99%). Figure 4 demonstrates how cable reduction of up to 99% can be achieved when implementing a fully-populated MicroBlade instead of a comparable 1U architecture.